The Hill Theatre at APT. Photo courtesy American Players Theatre. Spring Green is an arts center in nearby south central Wisconsin that’s easily accessible to Chicagoans interested in theater and the work of Frank Lloyd Wright. In a long weekend, you can see classic theater at the American Players Theatre (APT) on a hilltop in Spring Green and tour Taliesin, the home, studio and school built, rebuilt and rebuilt again by Frank Lloyd Wright, his apprentices and family. Set in 1870, As You Like It is a totally delightful and quite traditional rendition of this happy-ending play, directed by James Bohnen. (Bohnen was longtime artistic director and cofounder of Remy Bumppo Theatre. He now also runs Arcadia Books in Spring Green.) Melisa Pereyra is a charming Rosalind and her friend Celia (Andrea San Miguel), her admirable sidekick. After Rosalind is banished by Duke Frederick, she and Celia head to the forest of Arden in disguise. Many scenes and many characters later, disguises are removed and several couples are happily joined in marriage. Reese Madigan and Colleen Madden in Born Yesterday. Photo by Liz Lauren. At the Touchstone Theatre. The Touchstone, opened in 2009, is located about halfway up the hill and it’s enclosed, air-conditioned and sans mosquitoes. Both venues have raked seating, so sightlines are excellent no matter where your seat is. DeVita and Lawrence in Blood Knot. Photo by Liz Lauren. The controversy is addressed in this article in American Theatre magazine. These questions of representation and appropriation have been roiling the theater world recently. APT has decided to expand the conversation with a special “pay what you like” performance of Blood Knot at 12noon on Sunday, August 12. The performance will be followed by a panel discussion to explore the issues in the play, including the casting. The hill theater. Photo courtesy of Taliesin Preservation. The school was built in 1902 to replace the one his aunts had built in 1887. The building features the Assembly Hall, a typically spacious Wright area with a high ceiling, dark and light contrasts in the woodwork and ceiling framing. Built-in furniture pieces were added later. The Drafting Room, in use today by architects and apprentices, has an interesting striped wood flooring, left over from FLW’s design for the Johnson family Racine house, Wingspread. In the theater, Taliesin’s apprentices and staff would perform plays, musical and literary events and view performances by guests. The colorful theater curtain was designed by Wright and made by the apprentices. Wright’s bedroom at Taliesin 3. Photo by Jack Whaley courtesy of Taliesin Preservation. Dress casually and wear comfortable walking shoes. Bring water or other beverages, bug spray if you don’t like DEET, and something to fan with. To order theater tickets, see the calendar and order online or call 608-588-2361. Ticket prices range from $51 to $86, depending on day and location. 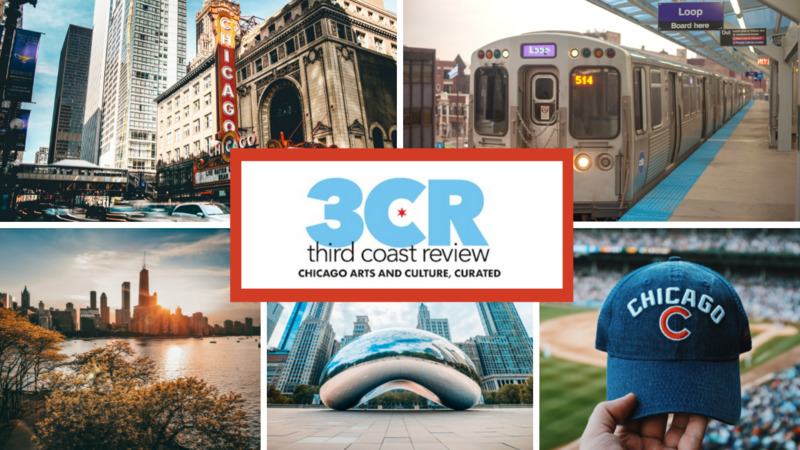 You can support Third Coast Review’s great arts and culture content by becoming a patron. Just visit Patreon.com/3CR and choose the amount that works best for you. You can be sure we’ll appreciate it.